I’ve been terrible keeping up with sharing my thoughts about what I’ve been reading, so I thought I’d try to get back in the swing of things with a couple of posts of mini reviews (although bear with me, because I read these back in June and July, and it seems like a long time ago). We Are All Completely Beside Ourselves, Karen Joy Fowler. Let me start with this: SPOILER ALERT. If you haven’t read this book and you do not already know the twist, then read no further. This is Rosemary Cooke’s story, and the story of her family, in particular her two siblings, her brother Lowell and her sister Fern. For different reasons, Rosemary is estranged from her siblings, all because of a single childhood act perpetrated by Rosemary. The story is told by present-day Rosemary in her forties, looking back both to her childhood with Fern and to several weeks in college where Rosemary learned what actually happened to Fern after she disappeared. Fern’s absence shaped much of Rosemary’s life, as did her reappearance. The clincher (the spoiler)—and I knew this going in: Fern is a chimpanzee that the Cooke family was raising alongside Rosemary as her sister. Fowler tells a hell of a story, but she also manages to weave in much of the relevant information about chimpanzee studies over the last century to help the reader understand the real depth of the questions at hand. It’s such a wonderfully strange book, and Rosemary is a compelling narrator. For all the ethical issues it raises (and never, ever beats the reader about the head with), this is finally a family saga, and an incredibly well-written one at that. If Fowler wins the Man-Booker, she will definitely have earned it. 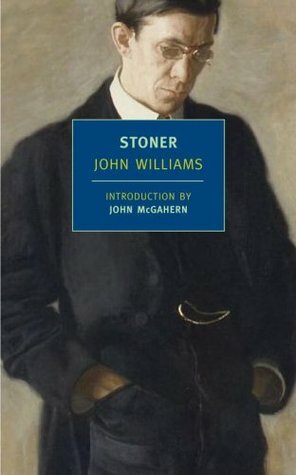 Stoner, John Williams. If you love quiet, character-driven fiction about ordinary people that reveals deeper truths about humanity (think of works by Kent Haruf or Marilynne Robinson), then Stoner is an absolute must-read. William Stoner is the son of a Missouri farmer who sends Stoner away to join a new agriculture program at the state university. In his second year of school, Stoner falls in love with literature, and decides to pursue a life in academia. The book tells the story of his life at the university, his struggles with colleagues and students, his unhappy marriage, his experience of fatherhood. It’s beautifully written, revealing the deep complexity of even a seemingly simple life. 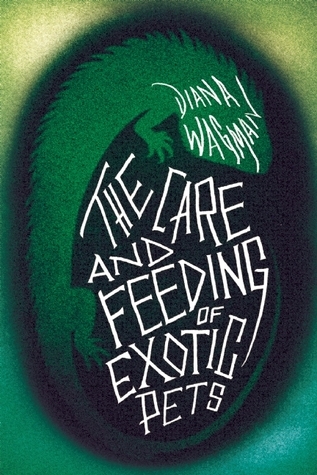 The Care and Feeding of Exotic Pets, Diana Wagman. This is one of those books I bought on sale, on a whim. I had a long plane trip and had just finished another book, so I decided to give this a shot. I managed to finish it over the course of a five hour plane ride and an hour on the train. Winnie Parker is a single mother to a teenage daughter. She’s recently divorced from her game-show host husband. Waiting at the car repair shop for a loaner car, she mistakes a young man who pulls over to pick her up as the guy from the rental car place. Instead, she finds herself kidnapped by the young man and taken to the house he shares with a giant iguana named Cookie. The story is told in alternating third-person points of view, so we see events not just from Winnie’s point of view, but also from the kidnapper’s, her daughter’s, and her ex-husband’s, as we come to understand what set off this increasingly horrifying chain of events for Winnie. Reviews for this one seem to be all over the place (but mostly favorable), but I was completely absorbed. It helps that Wagman has a sense of humor, and many of the moments are darkly comic; otherwise, this well-paced novel might have teetered between melodrama and just plain terrifying. If you like Gillian Flynn, then I recommend this. I look forward to checking out Wagman’s other books. The only one of these I have is Stoner and I am really looking forward to it, I have heard nothing but great things about it. I need to reread We Are All Completely Beside Ourselves in advance of its Booker win (she said optimistically). That was a damn good book. Jenny, today is the day! Fingers crossed!